addition to reading comprehension and writing activities, the story can inspire activities in math, science, geography and cultural studies, and the arts. Create your own reading comprehension questions for the story, to determine how closely the children have read the book. An online, interactive quiz is also available at Roald Dahl Fans. Or use some of the following questions. On what continent does the story take place? What does Enormous Crocodile want for lunch? How does Notsobig One feel about children? How does Enormous Crocodile think he will be successful at getting a child for lunch? What are his four tricks? Are they really clever? Why do the other animals help the children? Is Enormous Crocodile successful in getting a child? Why or why not? 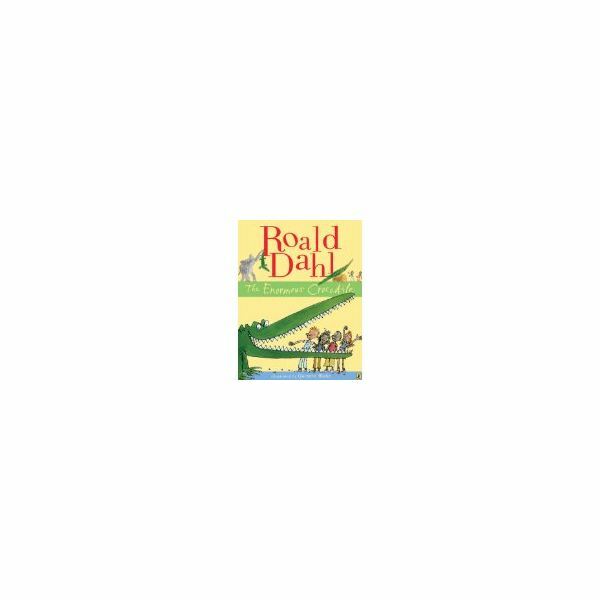 As a writing follow-up to Roald Dahl's The Enormous Crocodile, have the children retell the story from the point of view of a different character. They could choose one of the other animals, or even one of the children. Use The True Story of the Three Little Pigs by A. Wolf by Jon Sciezska as an example. Students could try to rewrite the story to have a different ending. How would the story have to change if the Enormous Crocodile isn't stopped? What other ways could he have been stopped? Children can also try to write their own poems about the story. Focus on free verse, rhyming words, or even writing acrostic poems. Math activities can revolve around a theme of reptiles. For those who are still working on learning to count up to 10, use small crocodile figurines or erasers to count. Use crocodile and reptile-shaped cards for calender pieces or labeling counting activities. Write out story problems that feature reptiles. You can also find some crocodile-themed math worksheets on Learning Page. Use The Enormous Crocodile to introduce the animals of the jungle. Would the characters in the book really live in the jungle? Are those accurate portrayals of the foods they eat? Do a study on reptiles in general, and look at their life cycle. Compare and contrast alligators and crocodiles. Sites, such as ABCTeach and Enchanted Learning, have fact cards and forms for children to fill out as they research reptiles. Enchanted Learning also provides a lot of ready information and interactive games for research and learning. Study the continent of Africa. Practice making maps. Learn about the different habitats. Focus on the jungle and rainforest. Take a voyage along the Nile River to see how people live in this area. Make a crocodile paper bag puppet. Also try to create the other characters. Or, instead of paper bags, put them on sticks. Make masks of the various characters in the book. Use the puppets or the masks to put on a play of the Enormous Crocodile. Use both the real story, or a different version created by the class. Break into small groups. Retell the story through dioramas, charts, or other models. Tie this in with the geographical study of Africa.